Guys, I have been daydreaming lately. Home improvement projects and plans for the year are dancing around in my head. No joke, I have floor plans drawn out, sketches of my wish list for my home. I figured since this is all about home decor, and talking about homes I can share with you my plans instead of just the pretty after. I have a lot of things I want to do to my home, one of them being add on an office space as well as make our kitchen bigger. I am also on a quest to make our basement become usable space for our family. We have a 2,000 square foot home with 2,000 square feet of basement. That is a lot of currently unused space! The basement project is a whole other monster and I will be sharing the pictures of it as well as the plans in a later post. 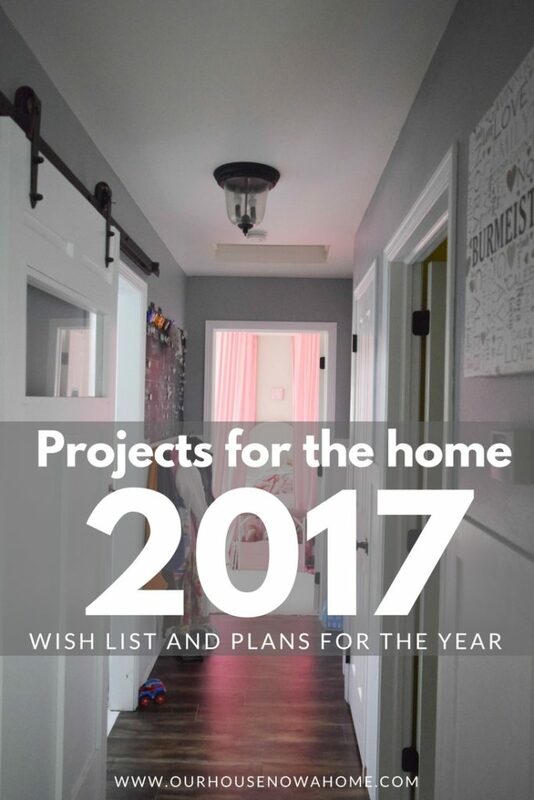 For now I am talking about the wish list of projects in our home as it stands and what I hope to accomplish this year. So no kitchen expansion or office extension is being discussed either. I hope soon-ish we can start making those big time plans! I am also not including the plans of redoing the kids bathroom, making a pergola in the backyard, adding floor tile and a new shower with tiles in our master bathroom as well as about 10,000 smaller furniture and decorating ideas. I am sharing projects I actually hope to get done this year, instead of the massively long list of every project I hope to do to my home, ever. No one has time, or the interest to hear everything! 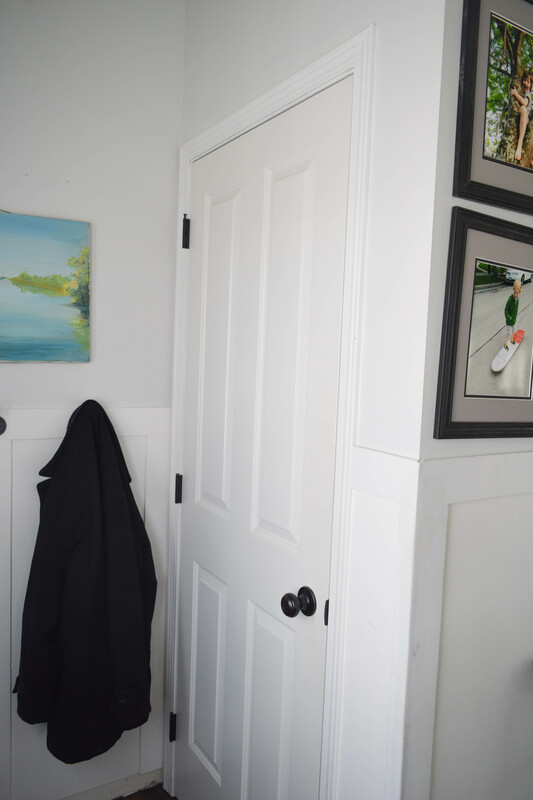 So let’s get to the Home improvement projects and plans for the year, my hallway is pretty much done, I added the command center, organized the closet, and created the barn door (which I have not shared the tutorial of yet on the blog). The last little finishing touch to this space is adding crown molding to the top of the walls. Just a little added touch of fancy. I am considering bulking up my doorways with a larger wood trim piece on the top of the door frame. Still finalizing ideas and plans for that. 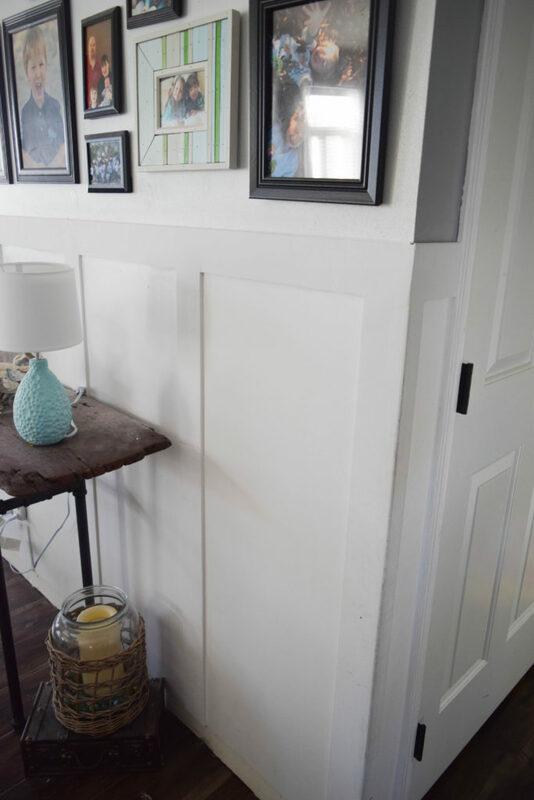 The wainscoting, or board and batten (people tend to call it both interchangeably) needs to be done. Guys, I started this about 3 years ago. It got to the point where it was done-ish. I still need to add the top piece as well as the floor boards to a few spots. 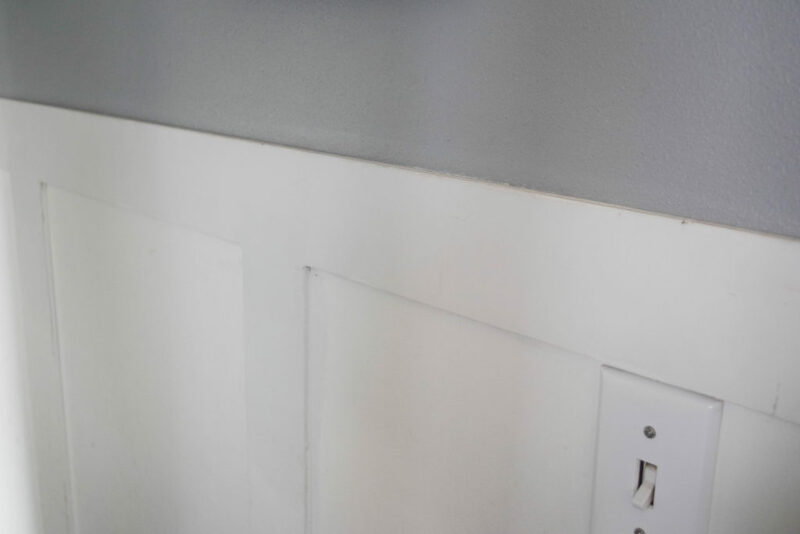 This was a big deal for us to do because of the textured walls in our home, just putting some wood planks on the wall and painting any exposed wall white could not work. I need to put the pressure on myself to share it here on the blog, maybe then it will be public shaming enough to finally get it done. Anyone else ever get to the very end of a project and then lose steam? I don’t do it a lot, but when I do… I make it count… three years this has been unfinished. Eek, I might get my home decorating blogger card revoked. Here is another bad example of a project that lost steam. Our laundry room was painted, cabinets were added, tile was put in, the organization station was created. Lots of action happened in here for weeks. The pressure was on because this laundry room is connected to the garage, so anytime we come home we walk through here. I needed it to function to do laundry as well as get in and out of my home. Once the function was taken care of, the project got put on hold. At first because of us simultaneously redoing the boys bedroom, then the holidays, and then…. my dog ate my homework? It is functional, but the function can be better. The plan is to create a counter top over the washer and dryer to fold clothes on. 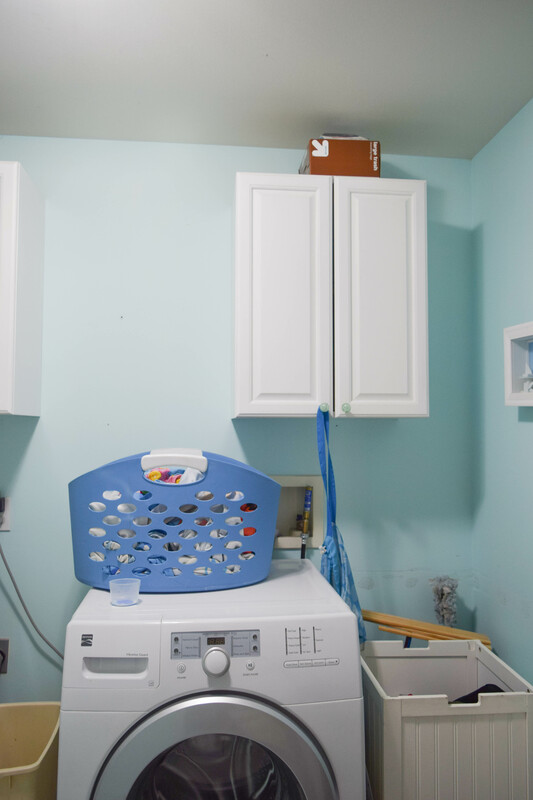 Also open shelving around and in between the cabinets, because no one ever regretted putting shelves into a laundry room. The more storage the better! I also have a few plans when it comes to either side of the washer, a hamper situation needs to be figured out. Also adding a great back plash behind the open shelving to fancy the space up! Lastly adding some kind of feature to the ceiling, possibly wood planks. This is such a tiny room but has a lot of functions. Laundry, mud room, storage, and entryway. If there is a room in my home to focus on to make every single inch of it work for us better this is the room. Next wish list spot in my home to be revamped is the tiny closet by my front door. 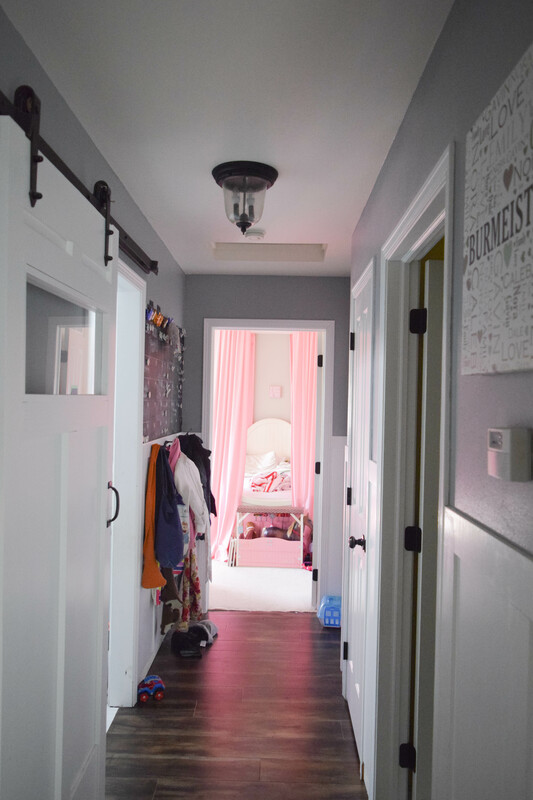 I explained the space a little in my entryway post, shared how I made it look pretty. This closet does not get used for our guests, ever. It has become a catch all for out of season coats and some entertaining dishes that should be stored in the basement. 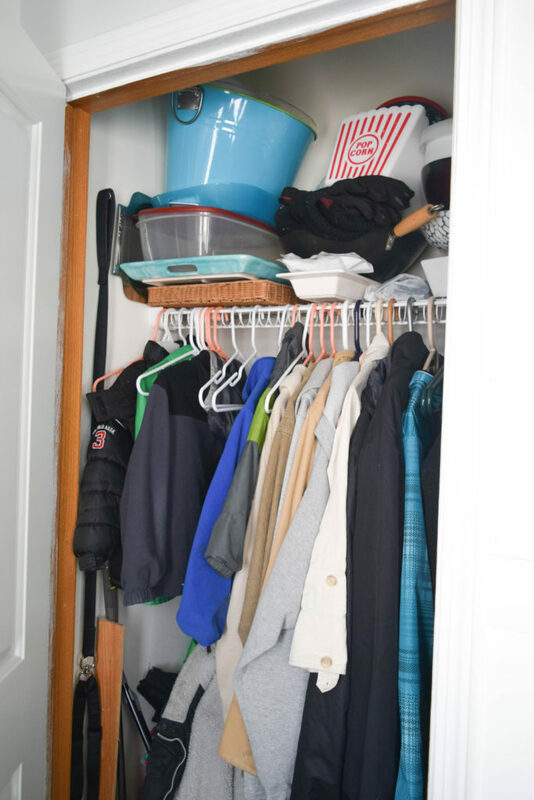 It does not work well as a coat closet because of it’s location. To open this closet door the front door needs to be closed, otherwise they run into each other. Which is fine, except when you have guests coming into the house with their bags and coats. This small space gets crowded fast. 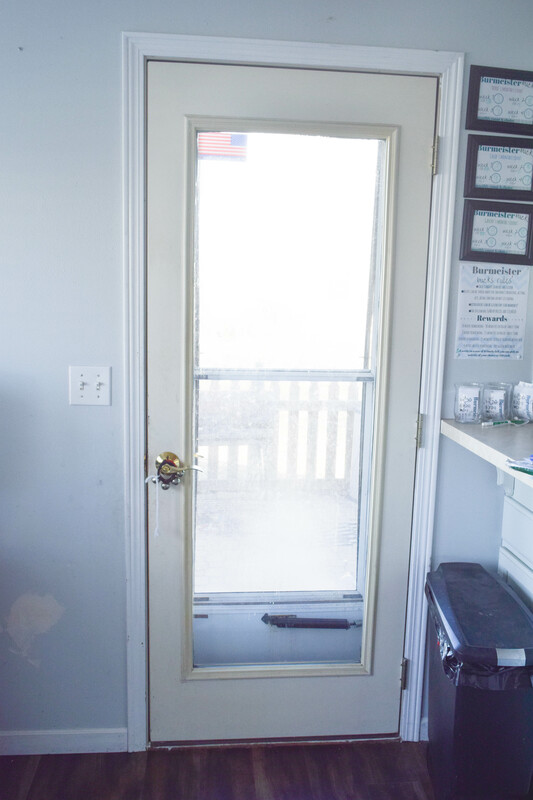 I plan to take the door off of this spot and turn the space into an open coat nook. It has a little bench place and I want to create some storage towards the top with bins. I will have to be a little more organized with off season coats, but like I said earlier; we have a huge basement. There is no reason for this space to have anything in it, we have the room downstairs to store it all. Leaving this area open to guests or even my family to hang coats and bags on is a much better function for it. The next space I want to tackle is the sun room, it is technically the eat-in portion of our kitchen. Eventually this will become one large kitchen, and then I finally get my dream kitchen. However, we are at least 1 year away from that, possibly more. 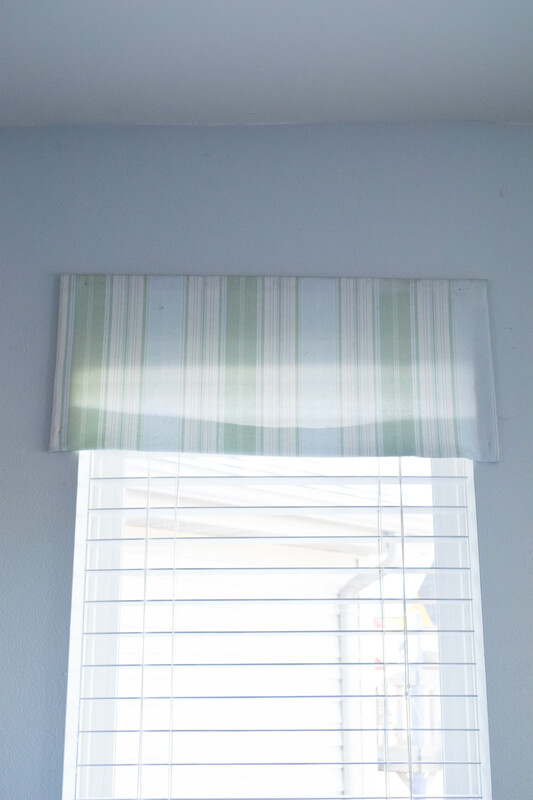 I want to enjoy my sun room now and these window valances I made have got to go. I made them when we first purchased our home and I was convinced I was going shabby chic with my decorating. Nothing wrong with that style, I just transitioned into a more coastal and bold style. Somehow these valances have been overlooked, for years. I am thinking a long curtain rod connecting the three windows and some long curtains hanging down. Add some warmth to the space. Not sure on colors yet. Any ideas? I painted our front door a dark gray and adore it! This is our back door and I want to paint it a different color. It is currently a former white, but now a light yellow color. Kids and the sun are rough on anything white. I am thinking of painting this door a navy blue. What do you think? Navy blue or something else? Oh and also repainting the kitchen, not a new color but covering up the lovely hole in the wall from my dog chewing on it. Seriously, my dog Finn when he was a puppy chewed a chunk of drywall off. Yeah, that needs to get repaired. My dining room has always been such a difficult situation for me. It is open to the living room, but in it’s own little nook. It has one off centered window, and is also a walkway into the kitchen. 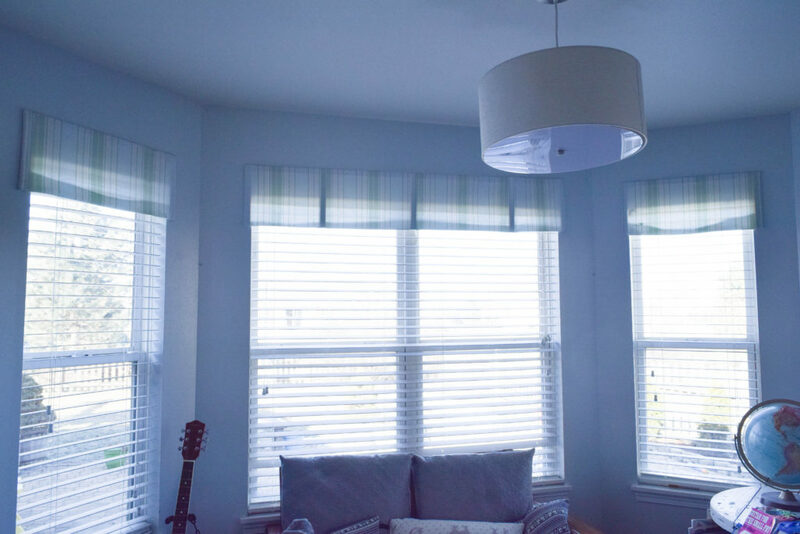 Placement of furniture is difficult, and this room has gone through a few different variations on furniture placement, decorations and even curtains. I am slowly getting it to feel just right. I added a new cabinet into the back wall, and I will be sharing that tutorial soon. I have a few finishing touches to it before it is ready for it’s close up. The picture below is how the dining room has looked for a while now, it worked fine but was not the best layout to walk through the room and get into the kitchen. It also felt more country than I was hoping for, my style has changed slightly and I want my home to reflect that. So let’s talk about the plans, (ignore my daughter in the picture at the table. She is the slowest eater to ever exist and I needed to take some pictures). With the cabinet in this room being white, the very light gray walls really look white now. In fact, I bet you assumed the walls are actually white. So I want to paint the walls a darker gray, still on the lighter side, but not invisible either. Another big plan is to paint the ceiling blue! 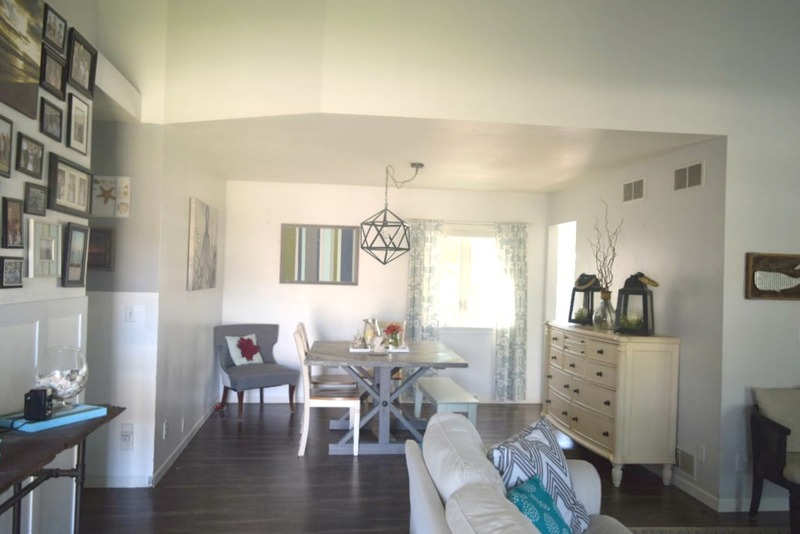 I have wanted to add wood beams to the dining room ceiling, but with the height being 8ft and it being a small-ish room already I worried the beams would make it feel too small. Adding some crown molding around the room and then painting the ceiling blue is what I have settled on. 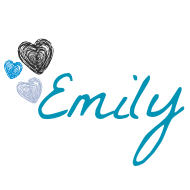 Now I just have to decide if I should go light blue or light turquoise… decisions, decisions…. One more item in the dining room to cover, I want to add wood casing to the complete entryway into the dining room. It is the entirety of the room and also has an angle to it, so this will be interesting. I have wanted to add some wood details to my home, and this area has been my focus but I could never confirm what I want. I plan to go light with a white wood trim and slightly bulky towards the top since the living room ceiling is very high. Keeping the overall look classic, making my home have that custom feel. The last big plans for my home involves the living room. We have this beautiful stone fireplace and the gorgeous vaulted ceilings. I have always wanted to maximize those areas. The first plan is to create built-in shelving on either side of the fireplace. I actually want to set our TV in the shelving and have doors to close them when not watching TV. I never thought I would say this because growing up we watched the TV constantly, but in our house we do not have it on a lot. We are more into music and reading if we get some down time. 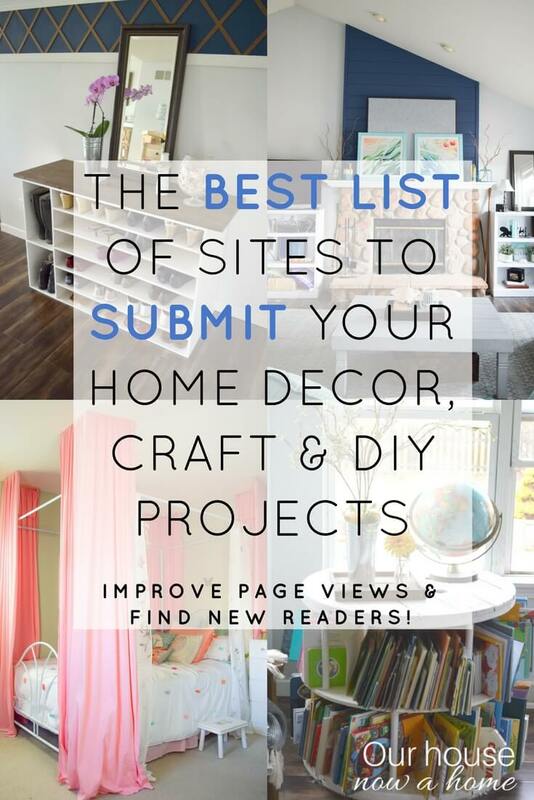 Or lots of DIY projects! This room was made for built in cabinets by the fireplace and I plan to make it happen! The other two big things I want to do is add a wood focal point to the top of the fireplace, where the large wall decor is hanging. I am thinking horizontal wood planks (or shiplap for any Fixer Upper fans) and then paint them navy blue. I adore the light and bright of turquoise, but mixed with all of the white and light gray I have I am jonsing for a little more contrast. I think pops of navy will level all of that out. Lastly, add wood beams to the ceiling! I am not 100% decided on what kind exactly, I go back and forth between bulky ones, flush to the ceiling or coming down to a T shape. Having them be white, or maybe a dark wood stain, I cannot decide just yet which way to go with beams. Maybe it is the balloon on the ceiling throwing me off? Fun fact, that balloon is from October, this pictures was taken yesterday and it is still up there. We were going to take it down but after a few weeks we decided to see how long it would actually last. We are currently placing bets on the longevity of the balloon. Any guesses? I was going to somehow erase the balloon from the picture, but this is me showing my home, not the finished and pretty after, but the reality of it. The reality is we have slow eating kids, party decorations up far too long after the party, a messy laundry room and half finished projects because life got in the way. I love sharing my home and ideas with you all, but I have realized that when I share the pretty after pictures half of the story is missing. The planning, dreaming, paint samples, and actual journey into creating those finished rooms are missing. There is so much that involves larger home improvement projects, and in trying to encourage the theme of talking about homes with you I am missing most of the discussion. So, I plan to peel back the polished after pictures more, let you in on the journey and hopefully get your input on some design ideas! 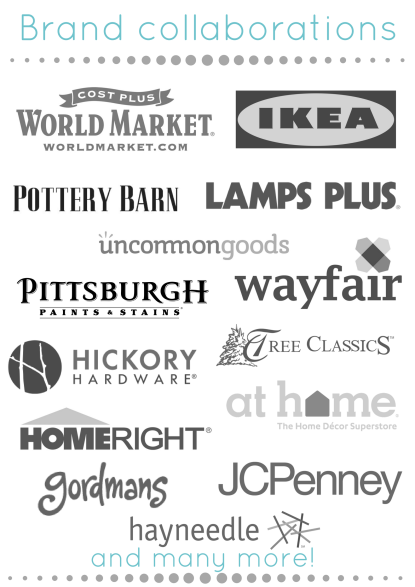 I have a ton of Home improvement projects and plans for the year I just hope to find the time to do them. Here is to a New Year, many ideas, creating a house into a home, and me publicly stating I will do these projects; nothing like the pressure of others to finally get things done. Do you have any plans for home improvement projects? Have you ever left a project not quite done? It is all coming together really well. Finishing all the little things in the room really make it looked finished and give that special look. Tells people you took the time to do it right. I really think the navy blue door would look fantastic! I am itching to create my own office space now I am working from home. Currently, it is styled for my partner- which is all gaming equipment. I’d love to have a new desk…calenders.. the possibilities are endless. You have an absolutely gorgeous home! 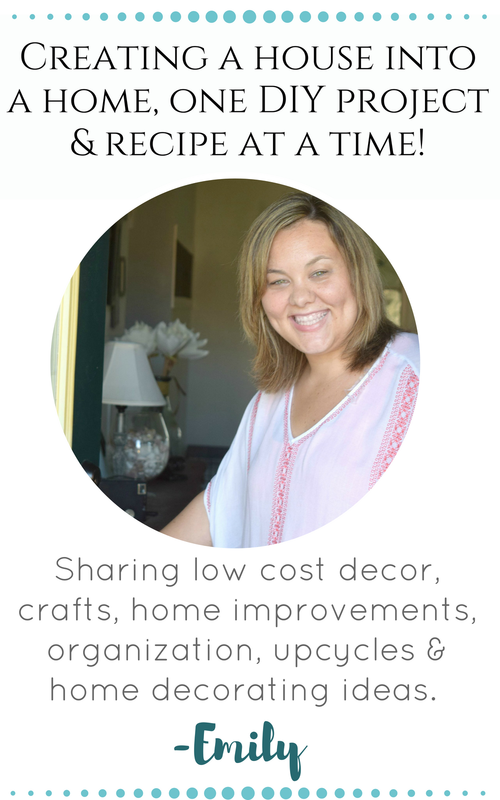 Thank for sharing some of your home improvement projects and plans. I really love your sliding barn door. It sounds like you have some great ideas and I think they will all be really nice improvements! Can’t wait to see the finished product. I’m crazy for navy, so I zeroed in on the navy shiplap plans immediately. I’m looking forward to seeing the finished project above the mantle as well as the rest of your house. I always have a long to-do list when it comes to my home. I am the same way. My “Want To Do” list has a million projects but that is totally unmanageable and I need to focus on what we really need to get done first. I enjoy seeing your home projects! I seriously need to map out a home “to do” list like this! You’ve got some great ideas! OMG. Amazing ideas. Its so hard for me too see the end of a vision before it happens. Lol. Can’t wait to see the finished changes over time. You have a lot of home improvement plans for the year. You are in the right track. I’m also planning to setup another room in our house. I think your house is adorable and cozy. I am loving the fireplace. We actually just bought our first home as well but October of 2016 and I have yet to decide on curtains for the kitchen area and main living room. I am not an expertise on that lol. Wow it looking good and coming together. My goal this year is to build a porch with a ramp so i can get into and out of my house better. I have so many things that need to be done in our house. I have to get my hallway done and my basement. Looks like your house is coming along! Oh my goodness you are going to be busy! 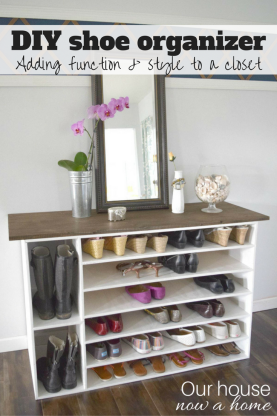 I have that same closet in my entryway, except mine has a fold out door that folds away from the front door, so it’s not in the way when it’s open. It’s still full of all kinds of stuff that needs a new home though! It sounds like you have a lot planned for the next year. I can’t wait to see how it all comes together. It sounds like it’s going to be avery productive year. Looks like you have a pretty busy and exciting year ahead of you! Looking forward to seeing how it all comes together. 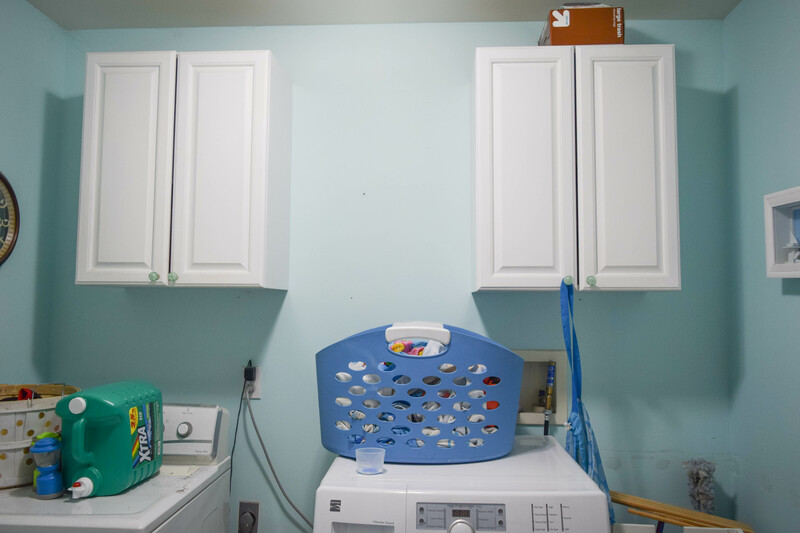 We do want to re-do our laundry room too…maybe. 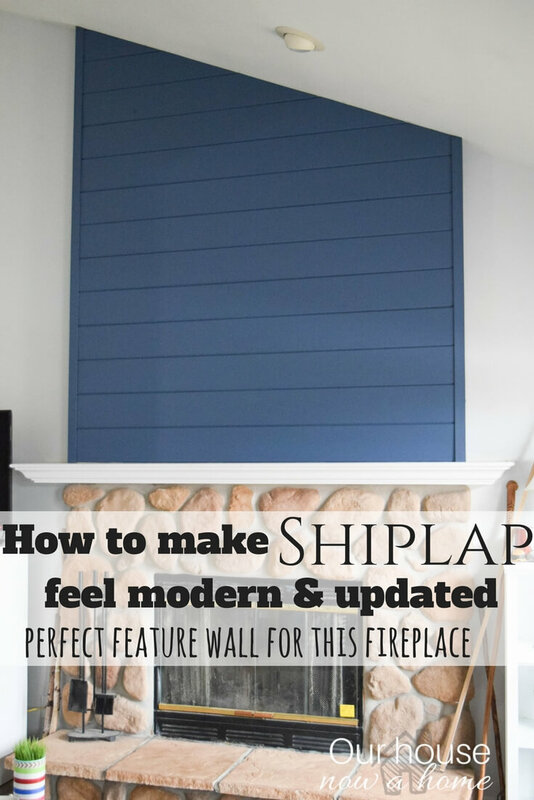 I love your idea to add a shiplap focal point above the fireplace! And wood beams in the living room will look amazing. Can’t wait to see what you accomplish this year! I can’t wait to see your whole house again once you’ve done all the improvements you want! How very exciting! 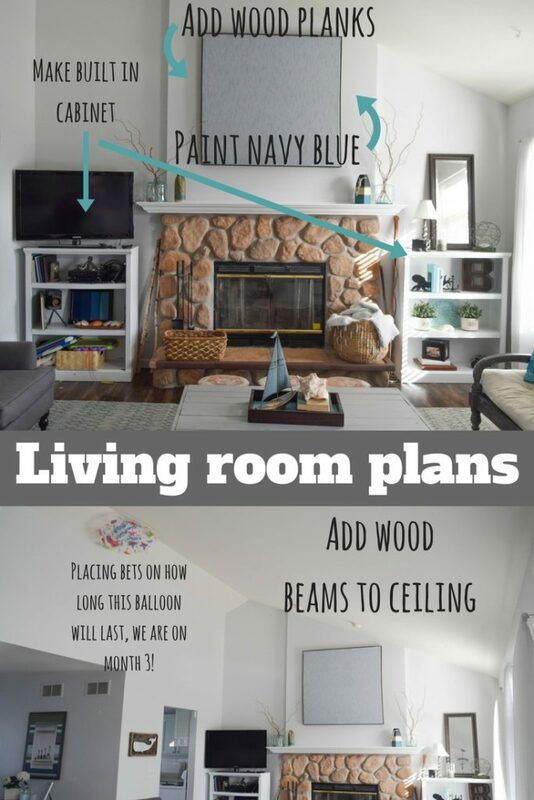 I love the idea of painting that sunroom ceiling blue! Good luck with all of your projects this year. I should make one of these to ensure everything gets done at my place. You have so many great ideas, I love the idea of navy blue! I have no vision when it comes to this, I admire your skill. I cannot wait to see how it progresses. You have a long list of things to do this year! I am big on starting projects and then never finishing! At least you have a dream! These are fantastic plans. We are going to replace all the flooring on our main floor this summer. I would love to do a photo feature wall. Lots of stuff to keep you busy this year! We are renting an apartment right now, so aside from decorating it, we don’t have to worry about any big home projects! I love the barn door, I wish I could find somewhere to put one in our home. Last year we remodeled our main bathroom. This year our kitchen is getting a complete overhaul. Cabinets, countertops, sink, flooring and walls. We even have plans to build an island. I am so excited, I have been wanting to do our kitchen over for years. When we bought our first home, we put wainscoating in it too and it was a great project. Now that we have moved into our second home, we are starting to do DIY home imrporvement projects again. I’ve been plotting and planning ideas and makeover over here as well! I can’t wait to see what you do this year! There are lots of things I’d like to do around the house this year too…especially outside once the weather warms up a bit. I love your ideas and can’t wait to see it all come together. So many great plans and projects to tackle! I really like your fireplace! We are thinking of redoing our office space and kitchen too. Sounds like you have a full list of things to do!! Can’t wait to see your finished projects!! That balloon had me cracking up! I’m exciting to see your plans come to life in the coming months. Yourhome is already beautiful, but the plans are absolutely gorgeous. Can’t wait to see all the finished projects! Sounds like you’ve got a lot of fun things coming! Can’t wait to see it all happen! Thats a cute house! Love your style.. I want to see more updates! Wow, you have some big plans! Can’t wait to see the journey. And don’t feel bad your on year 3 of an unfinished project. We all have a project like that. For us, it’s the bathroom which is our big project in 2017, and maybe actually finishing the kitchen (but let’s not get ahead of ourselves, haha). Big plans!! Can’t wait to see how much you get accomplished. It’s great to have goals to work towards. Good luck! 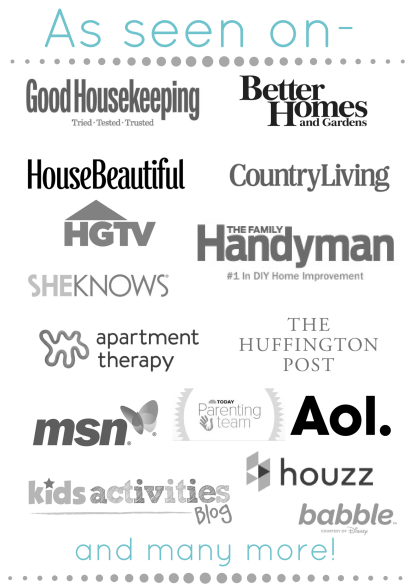 Wow, always so much to do when it comes to changing and updating your home. If you’re not careful it can be a beautiful thing or a very expensive headache. 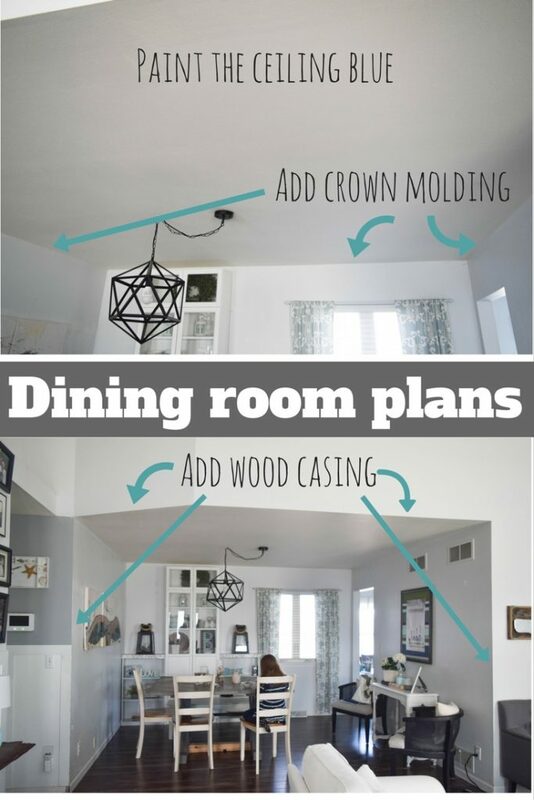 I’ve been on both sides of that fence :-\ You have a lot of great ideas and I love the crown molding idea with a darker ceiling, that always looks so nice to me.